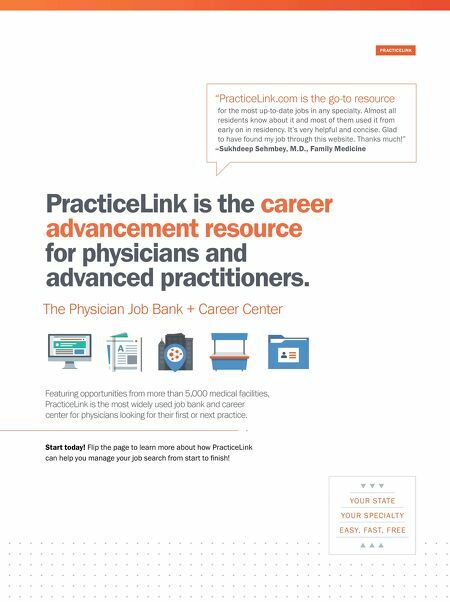 We are looking for full- and part-time physicians. 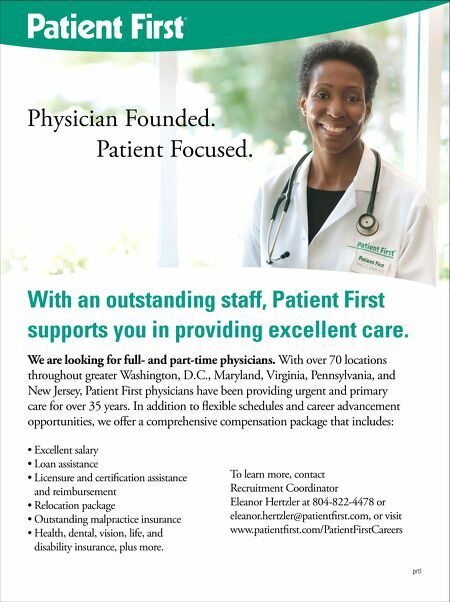 With over 70 locations throughout greater Washington, D.C., Maryland, Virginia, Pennsylvania, and New Jersey, Patient First physicians have been providing urgent and primary care for over 35 years. In addition to flexible schedules and career advancement opportunities, we offer a comprehensive compensation package that includes: • Excellent salary • Loan assistance • Licensure and certification assistance and reimbursement • Relocation package • Outstanding malpractice insurance • Health, dental, vision, life, and disability insurance, plus more. To learn more, contact Recruitment Coordinator Eleanor Hertzler at 804-822-4478 or eleanor.hertzler@patientfirst.com, or visit www.patientfirst.com/PatientFirstCareers prtl With an outstanding staff, Patient First supports you in providing excellent care.